Today, I’m giving a sneak-peek of tomorrow’s start to my Open-House event featuring digital autographs and lots of fun interaction here on Archer’s Aim. While you’re here, please take a few moments to share my Headtalker which will announce the event tomorrow morning across social media. It’s free and takes just a few clicks! The White Arrow is progressing nicely at this point and it’s still my hope to release the book in late September (maybe the 20th). There are always a number of details for book to be self-published and two of them are the cover and the book blurb. The cover is underway and about ready to be revealed. Check back tomorrow and you may get to see it during my weekend long digital autograph session. However, the blurb is another matter and requires some thought. It’s always a trick with a book series to reveal what’s coming in the next book without ruining the books before it. Likewise, you have to be careful not to reveal too much about the upcoming book. I think it’s doubly true of the last book of a series – don’t reveal too much of the ending and risk ruining it for the readers. With that trepidation, here’s my rough draft of blurb for The White Arrow. 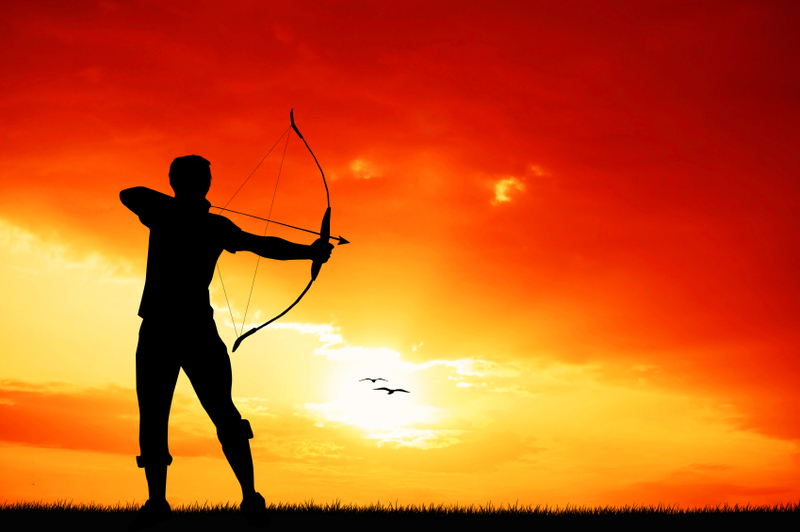 Athson’s failures haunt him but he now has the object of his inheritance: the Bow of Hart. Though Magdronu and his servants are weakened, they still seek to thwart the Withling prophecy by taking the bow if they can find him. But they are aware of a powerful, unknown Withling who’s been assisting Athson and hunt him as well. Now Athson is missing in the wilds of the Troll Heaths after trying to save his father and Limbreth and his companions are looking for him. Though Corgren’s whereabouts are unknown, everyone is on edge. But there’s another facet to the prophecy: the promised arrow to be sent by Eloch. A sign has risen in the night sky foretelling the arrival of the arrow which is the doom of Magdronu. All involved are looking for the promised relic and what’s worse is the troll army standing in the way of Athson’s escape. Even if he wins free, Athson’s destiny awaits him with the coming of the white arrow and confrontation with Magdronu. I’m still uncertain I’ve captured the essence of the book with this blurb. I offer it now for a bit of review and opinion but I’ll also rely on my editor for some solid input. This will likely change over the next few months but I’ve got something down and that helps to get the final version completed. Thanks for reading today. Please leave your thoughts below in the comments and I’ll answer as soon as I can. Join me tomorrow for the beginning of my open-house event where I’ll offer digital autographs of my books among other activities. It runs all weekend! Since you asked, look into this sentence: Now Athson is missing in the wilds of the Troll Heaths after trying to save his father and Limbreth and his companions are looking for him. Did he save his father, Limbreth, and companions? Maybe say while Limbreth and his companions are looking for him? Good catch, Craig. That’s why I post these blurbs early and get opinions on them. Thanks for the feedback. I think it’s great and can’t wait to read the book! I especially like the log line for it. Well done! Thanks for the input about the log line. For some reason, this blurb was harder to write and that log line was really difficult. It’s expressing the progression and still keeping the vein of the first 2 books that was the trick. Good to hear you think it’s consistent and intriguing.